There are certain perks that come with living and working in Las Vegas. An example of this came when we got a call to do some wrought iron fabrication work at the Mirage Hotel and Casino. Located right on the Strip, the Mirage is home to Siegfried and Roy’s Secret Garden and Dolphin Habitat. 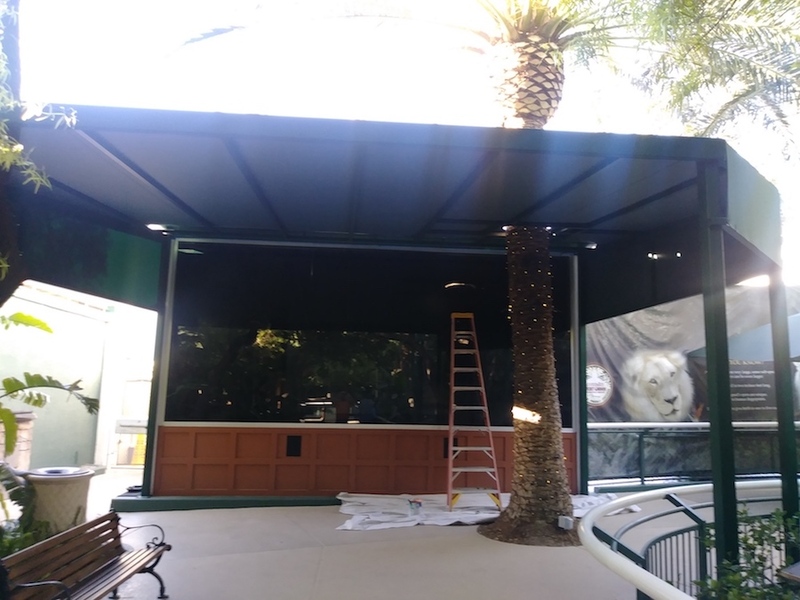 The folks at the Mirage asked us to fabricate an overhead enclosure for a visual exhibit along one of the walking paths. Some of our friends wondered how we were selected for this job since the sign on the door clearly says fencing installation company. The explanation is pretty simple. The folks at the Mirage are familiar with our work. They know that even if we are most know for fence installation and repair, we are also excellent metal fabricators. 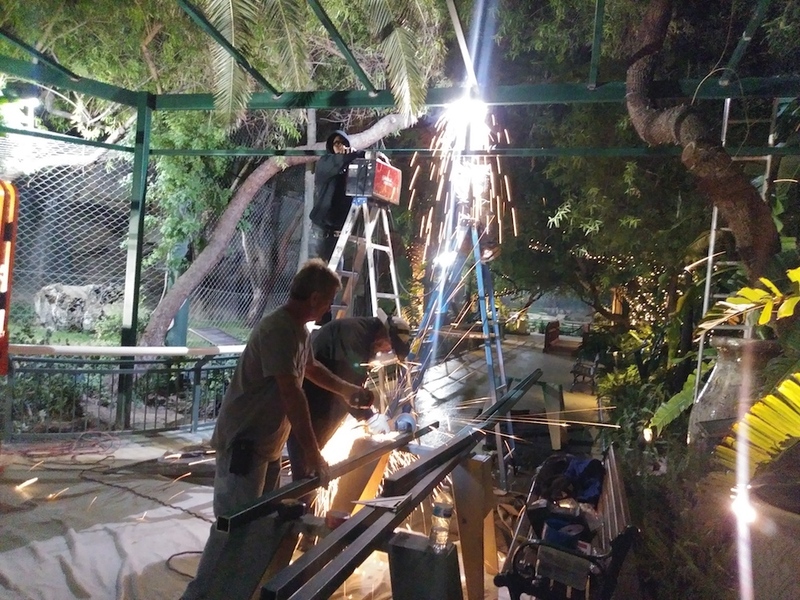 Most of our jobs, whether fence related or not, require some form of metal work or wrought iron fabrication. Over the last 30 years, we’ve worked quite a few projects in Henderson NV and Las Vegas. We’re experts at all forms of custom metal fabrication. The team and I really enjoyed this particular assignment. It allowed us to flex our design and planning muscles as well as the fun part which is the actual fabrication. There are plenty of attractions in Las Vegas. If you are planing a visit, pace yourself. It’s a fast moving place and you don’t want to miss anything. If you’re a local, and you’ve never been there, definitely make time to stop off at the Mirage. They have some of the best attractions and most entertaining shows on the Strip. Whether it’s A-List celebrities, acrobatic dance routines or just a little gaming. There’s something for the entire family. When you visit the Mirage, do yourself a favor and make time to stop off at Siegfried and Roy’s Secret Garden. 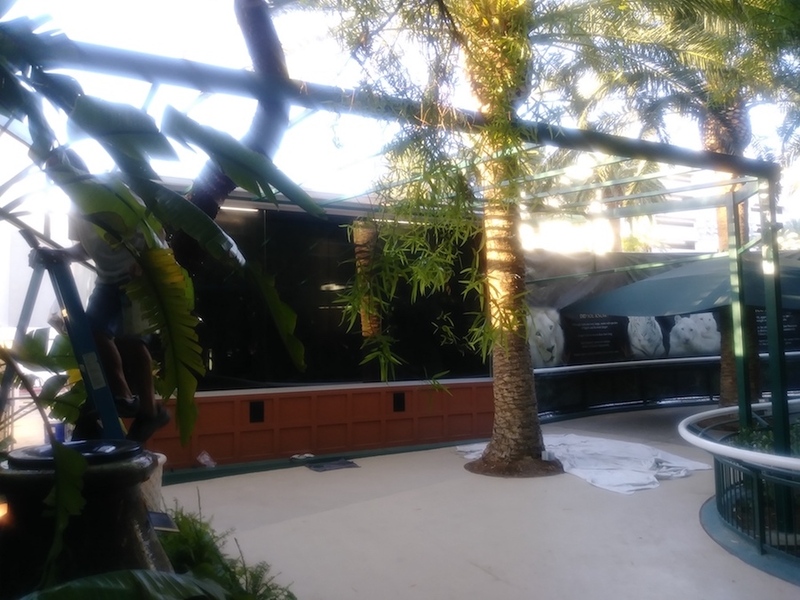 It’s wholesome family entertainment and from what I hear, next to Painting with the Dolphins, the wrought iron fabrication work is the best part of the show!